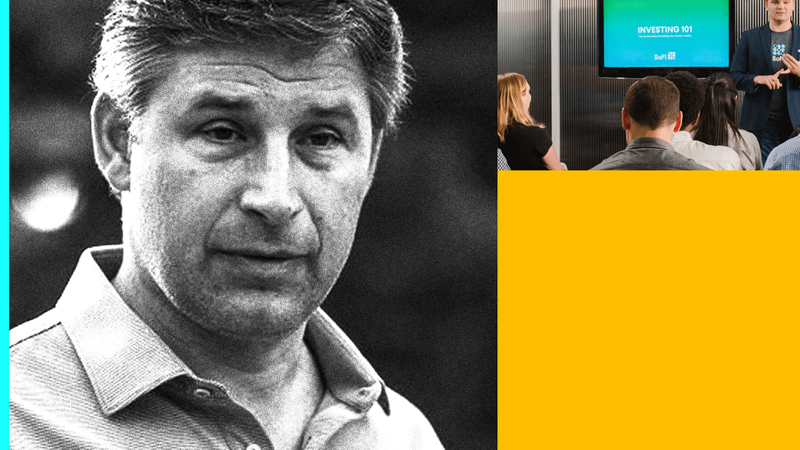 Former Twitter COO and ex-Goldman banker Anthony Noto just finished his first month on the job as CEO of SoFi, the "unicorn" financial services company whose founding CEO was booted late last year after misconduct allegations. Noto and I recently chatted about the new job, leaving the old job, recruiting (SoFi yesterday added Michelle Gill as CFO), expansion plans and competing with Goldman Sachs. "I’m not aware of any specific plans the company had in terms of a timetable for going public. I think there was a lot of hearsay around that. 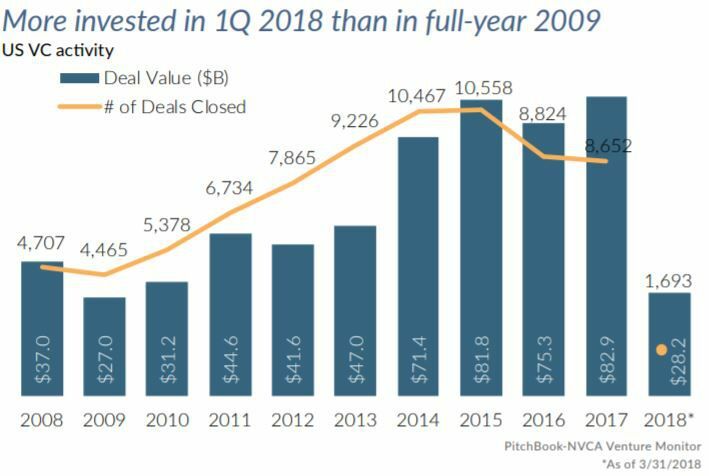 In 2018 an IPO was not a priority. In terms of fundraising, we are well capitalized. It’s one of our strengths. We have no plans nor need to raise capital this year." Full interview with Noto here. • First among equals: Axios' Bob Herman writes that Walmart-Humana is the healthcare mega-merger to watch, because "it targets the spending power of the aging population." • Update: A source tells Axios that Uber's deal for e-bike sharing startup Jump is worth $200 million in cash plus management earn-0uts. • ICYMI: Cryptocurrency company Ripple recently donated $29 million to fully fund every single one of the 35,000+ classroom projects posted by schoolteachers on DonorsChoose.org. No matter what you think of crypto, this is simply amazing. Why it matters: Conductive is focused on the Series B funding gap, which has widened as firms move earlier or later in the capital cycle. Origin story: Lai and Yeh have been friends since their earliest post-college days, sharing a SoMa apartment with Kabam co-founder and ex-CEO Kevin Chou. Francisco Partners has agreed to buy payments and commerce technology company Verifone (NYSE: PAY) for around $3.4 billion (including nearly $850m of debt), or $23.04 per share (54% premium over Monday's closing price). Why it's the BFD: Because this is a very high-stakes turnaround, as Verifone shares closed yesterday at their lowest level since late 2009. Timeline: The deal includes a "go-shop" period that expires on May 24. Other parties: British Columbia Investment Management is joining Francisco on the buyside, while Qatalyst Partners represented Verifone. Prior Verifone owners include buyout firms Gores Group and GTCR. • Carbon Black, a Waltham, Mass.-based maker of endpoint security software, has filed for a $100 million IPO. It plans to trade on the Nasdaq under ticker CBLK with Morgan Stanley listed as lead underwriter. The company reports a $56 million net loss on $162 million in revenue for 2017, and raised more than $230 million in funding from firms like Accomplice (17% pre-IPO stake), Highland Capital Partners (14.9%), Sequoia Capital (9.9%), Kleiner Perkins (8.8%), .406 Ventures (7.7%) and The Blackstone Group. • Domo, a Utah-based data management and analytics company, has picked Morgan Stanley to lead its upcoming IPO, sources tell Axios. • Zuora, a Foster City, Calif.-based provider of subscription billing software, increased its IPO pricing terms from $9-$11 to $11-$13. It still plans to offer 10 million shares, and trade on the NYSE under ticker ZUO with Goldman Sachs as lead underwriter. Zuora has raised around $250 million in funding from backers like Benchmark (11.1% pre-IPO stake), Wellington Management (9.4%), Shasta Ventures (8.3%), Tenaya Capital (6.6%) and Redpoint Ventures (6.5%). • VT Bharadwaj tweeted that he is stepping down as a managing director with Sequoia Capital India, but that he will remain on his current portfolio company boards. No word yet on future plans.